Gold bars and rounds represent some of the simplest forms of physical gold, as they are generally valued closer to the melt value of gold than most other products on the market. Struck by private mints, they hold no legal tender and often have a fineness of at least 0.995. Gold bars are generally produced with the name of the issuing organization engraved onto their face. 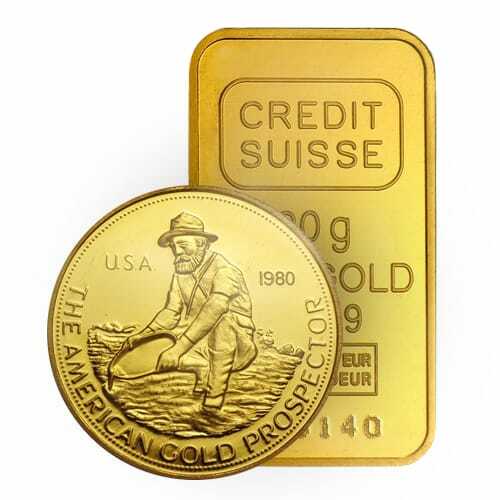 Measured in troy ounces, the most common is the one ounce gold bar. However, gold bars are produced in a variety of sizes, such as one kilogram, 100 grams, 50 grams, 20 grams and 10 grams. Gold rounds are distinguished from other coins by the fact that they are not authorized by government mints; instead, they are struck by private mints. They tend to be designed artistically (like government-minted coins) and come in a number of different sizes, such as 1/10 ounces, 1/4 ounces, and 1/2 ounces. Any gold bars or rounds that contain a fineness of at least 0.995 are eligible for placement in a Precious Metals IRA.